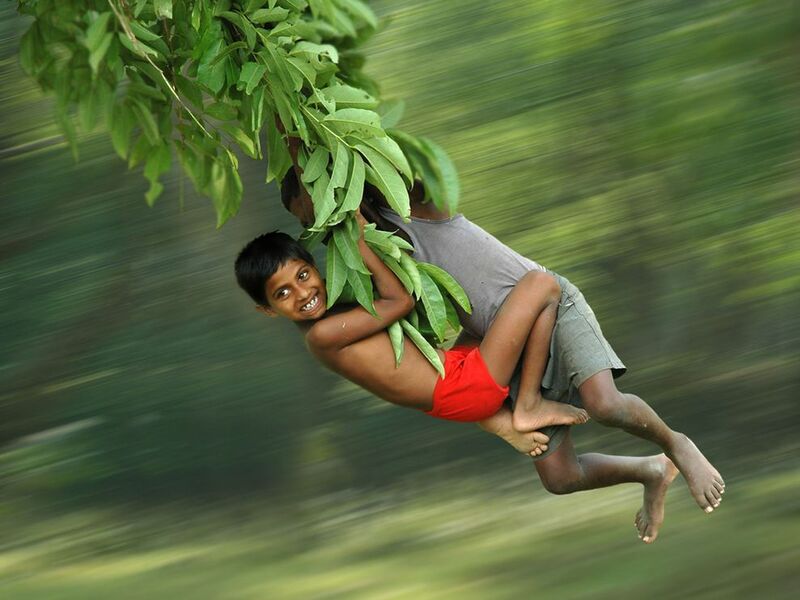 Story:This photo is from the 2008 International Photography Contest. 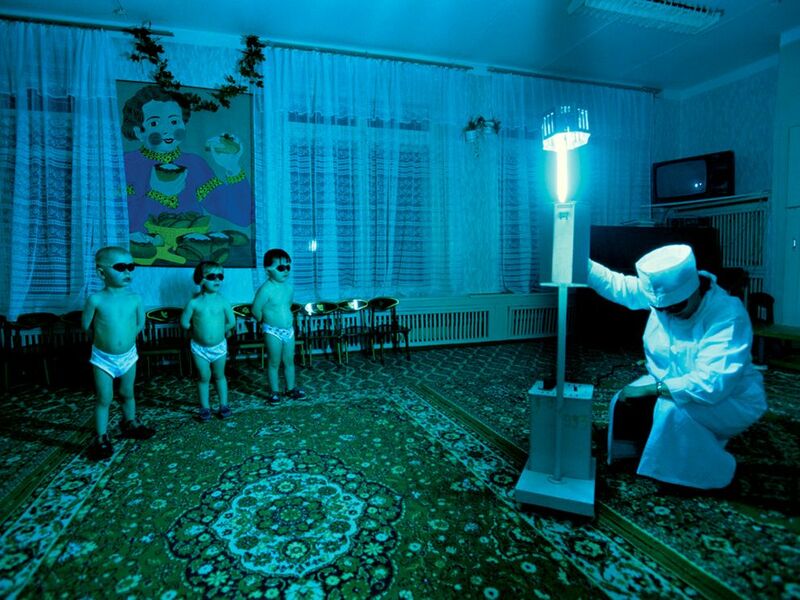 Story:Make-believe summer lasts for a minute or two as kindergarten children in sunless Lovozero bathe in ultraviolet light. Brief exposure to UC radiation provides the children with vitamin D, normally supplied by sunlight. The “sunshine vitamin” strengthens young bones. 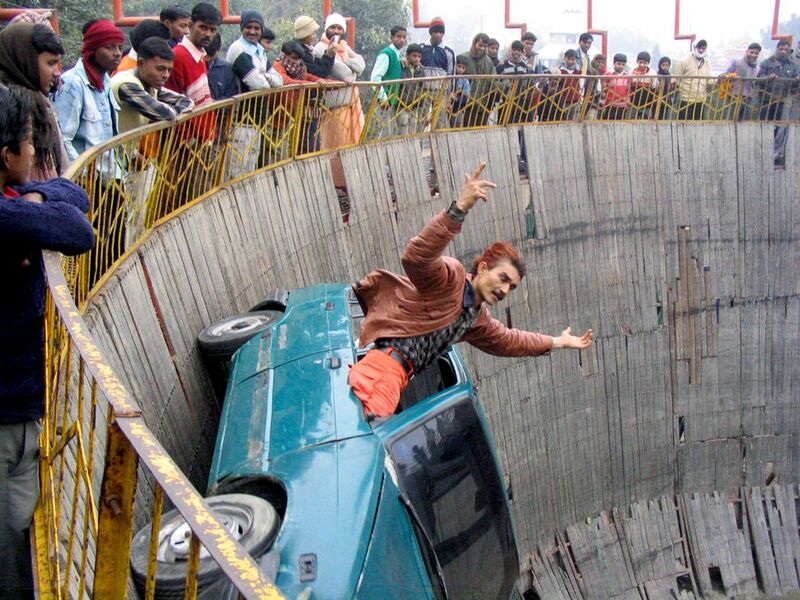 Story:The actual name of this is “The well of death.” Just look all the missing planks and holes in the “well.” On hindsight, being up there was probably a bad idea. Story:As President Obama talks with his advisors on the possibility of sending more American troops to Afghanistan, the Marines at Parris Island, SC, train harder than ever. 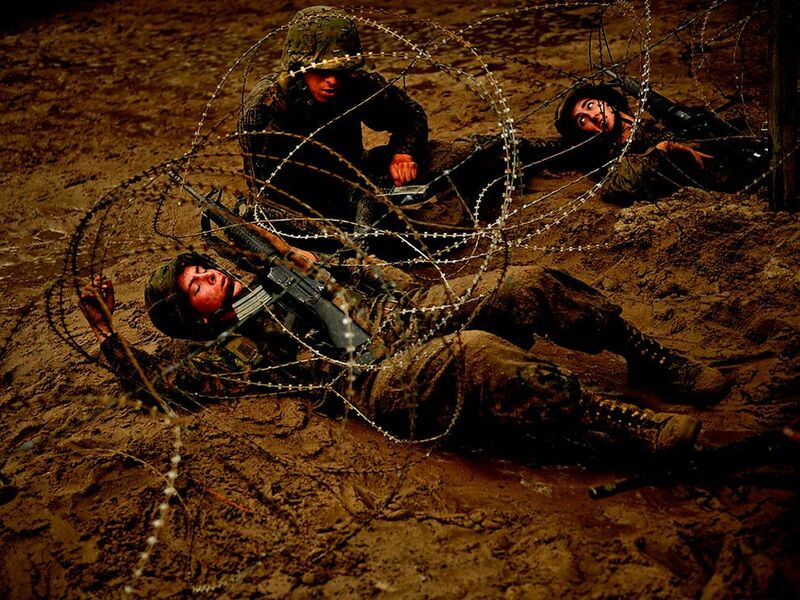 Exhausted new recruits maneuver under barbed wire and through a training course on October 15, 2009. Story:Crushed minerals are dusted over a Hamar girl’s locks. Mixing butter, red mineral pigments, and sometimes incense, Hamar women roll their hair into thick, ropey strands. 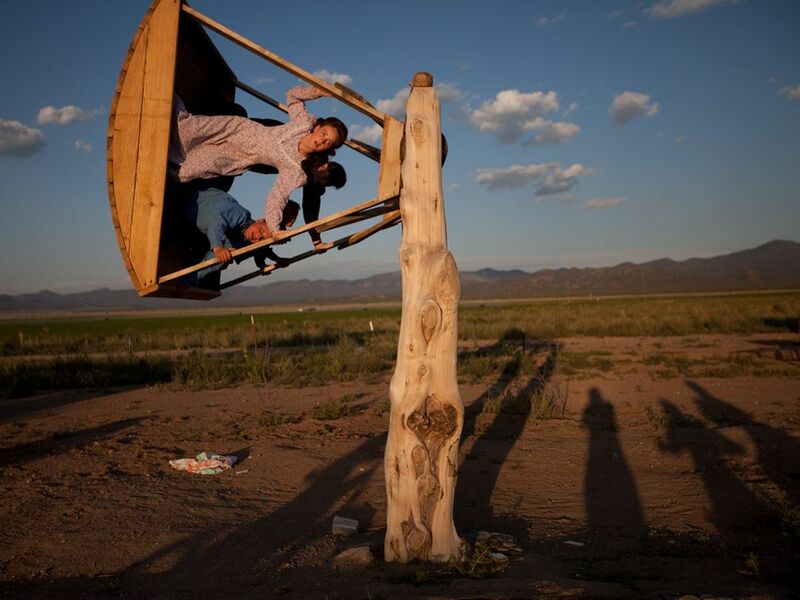 Story:After helping bring in the hay harvest, Amber Barlow, 16, soars on a homemade swing with friends. Their 4,000-acre ranch in Pony Springs, Nevada, belongs to the Fundamentalist Church of Jesus Christ of Latter-Day Saints (FLDS), a polygamous offshoot of the Mormon Church, or LDS. FLDS members, even young children, are expected to help with chores—sowing, picking, canning—throughout the year. 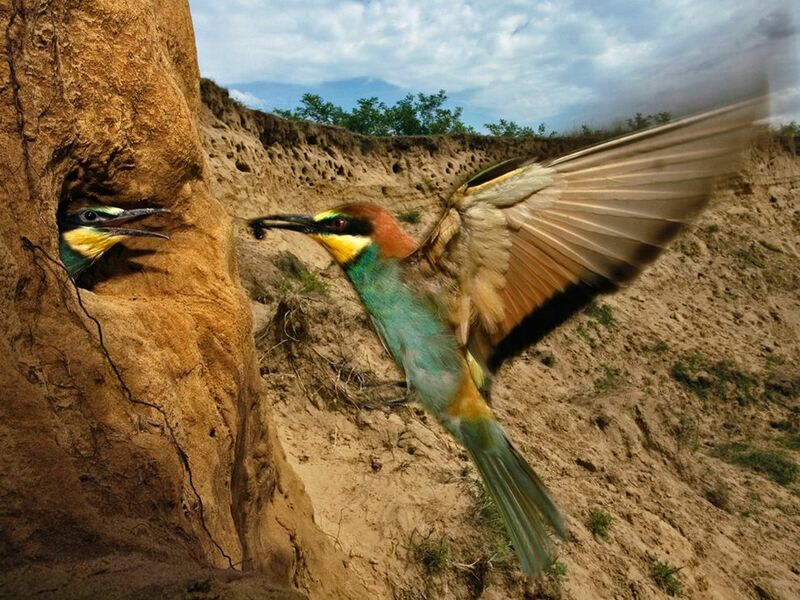 Story:In Hungary, adults fly to and from the nest tunnel they pecked and scratched into a sandy bank, foraging constantly to feed their ravenous chicks. Such tunnels can be three to five feet long (1 to 1.5 meters long). Story:Clinging to the hand of a human protector, six-year-old Mugi is one of some 500 orphans cared for at the Nyaru Menteng Orangutan Rescue Center in Indonesian Borneo. The island’s orangutans are endangered: The population has fallen by more than 50 percent in the past 50 years. 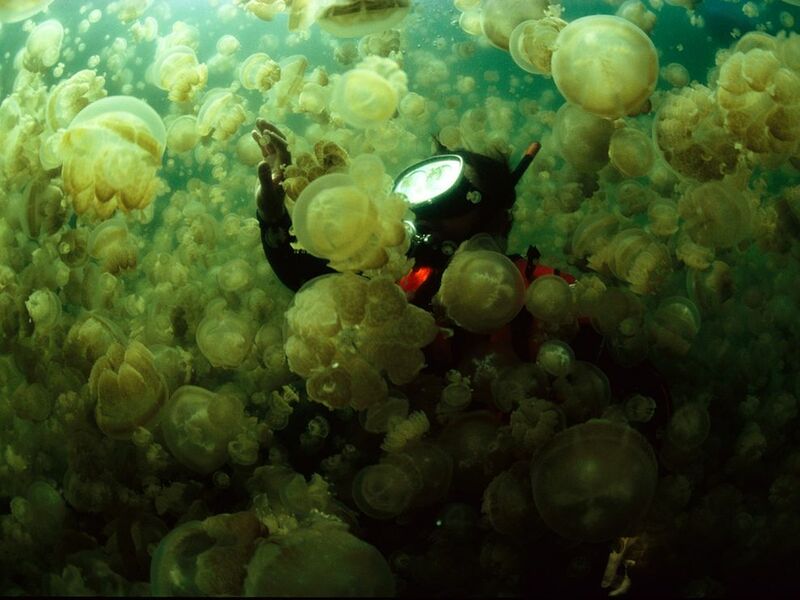 Story:Waters boil with jellyfish in one of Palau’s marine lakes. 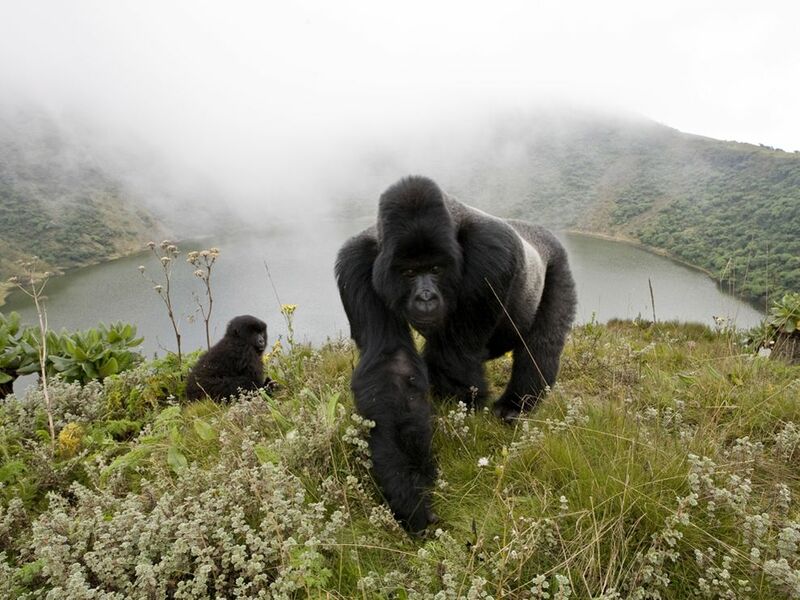 Surprises hide in each of some 80 such lakes in this Pacific archipelago. This photograph was taken on assignment for “Strange World of Palau’s Salt Lakes” in the February 1982 National Geographic. Story:Underground you can still be the first person on Earth to take the small step, or the giant leap. 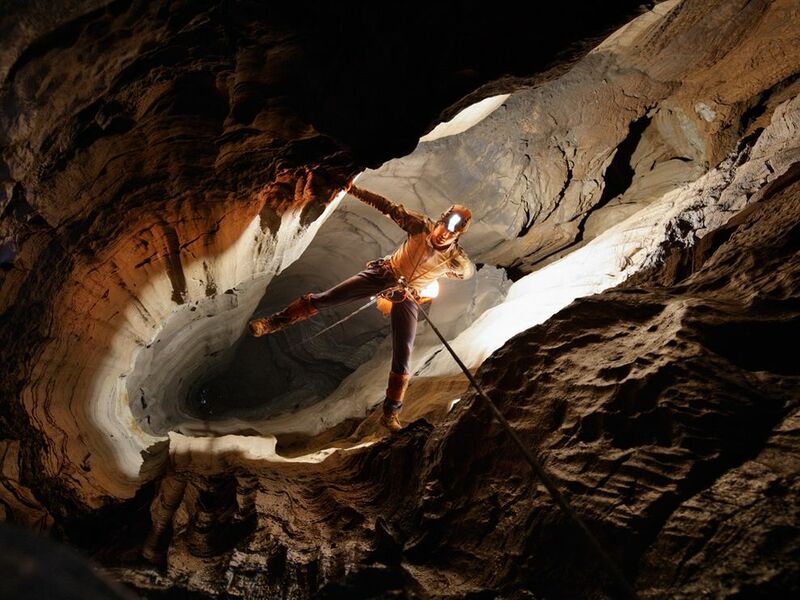 This Tennessee cavern, christened Indianapolis by its premiere explorer, was only discovered last year. Story:While at Huntington Beach in Bay Village, Ohio, I saw a storm approaching fast out of the north. 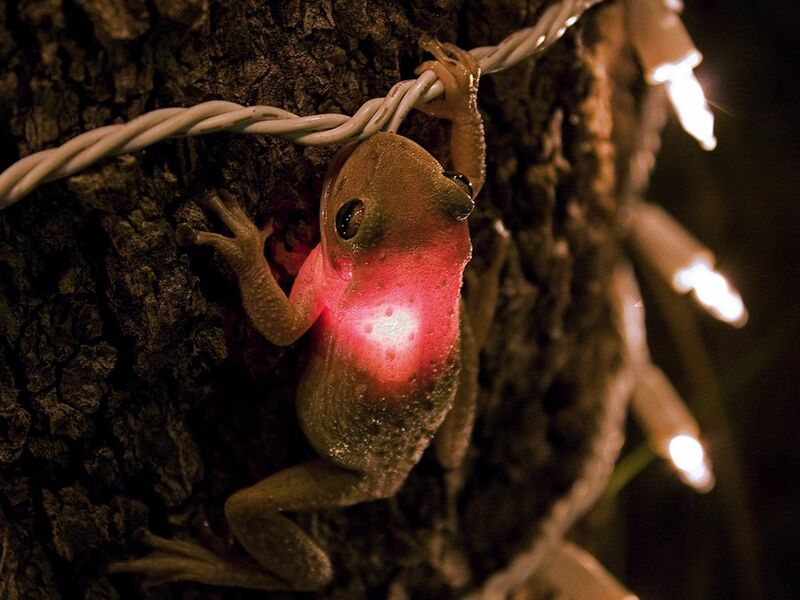 I got lucky and was in the right place at the right time. 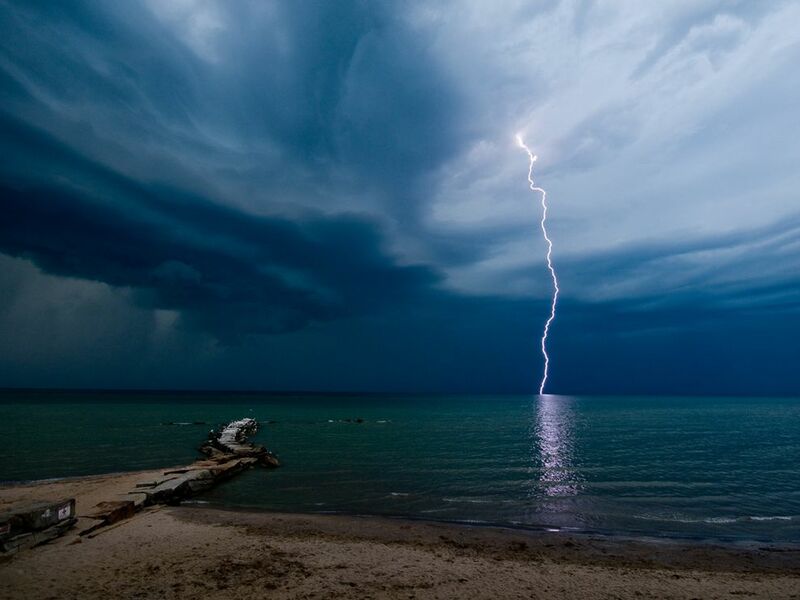 Within a minute of this shot, the storm unleashed its fury on the beach. It was a great day. Story:I was travelling across Rajasthan when I saw the lake in Mount Abu covered by an extensive green layer. 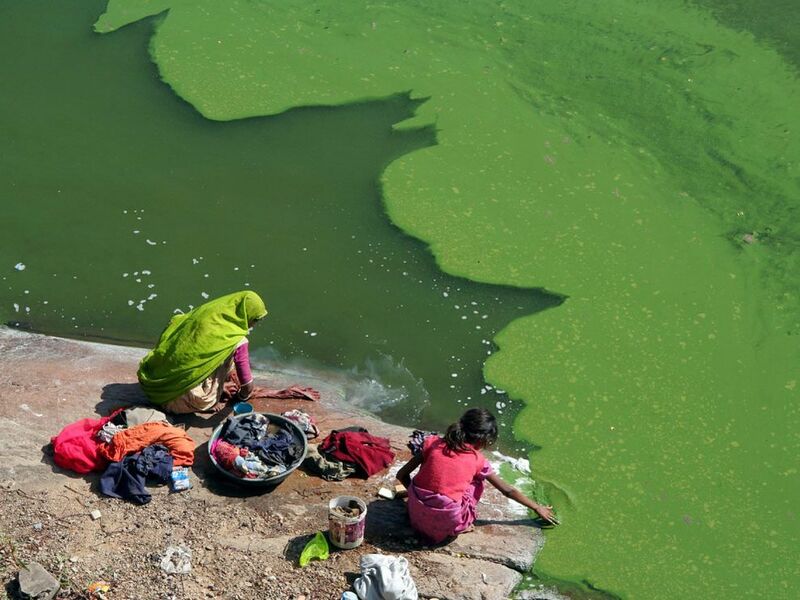 The mother and her girl were dressed in such nice colors that harmonized so beautifully with the color of the lake. Story:The location is the Marin Headlands near the Golden Gate Bridge in San Francisco. 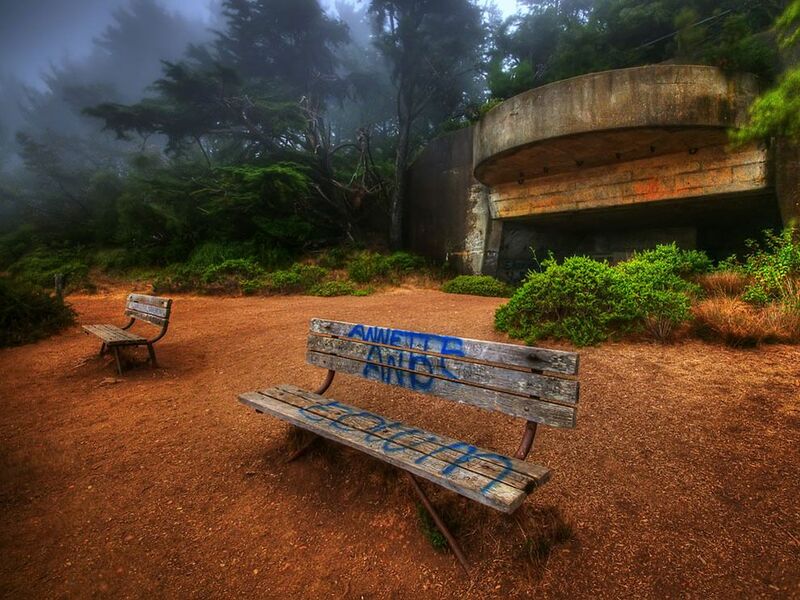 The structure behind the benches is an old WWII bunker—apparently Annette and Edwin were there. Not sure what they were doing there or who they are but thought they were interesting enough to take this shot. 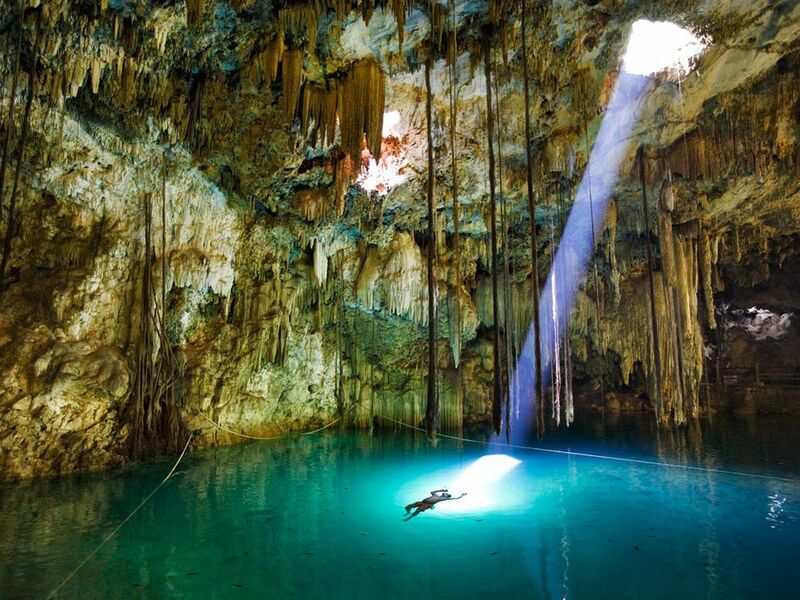 Story:The Maya believed natural wells, such as the Xkeken cenote in Mexico’s Yucatán, led to the underworld. 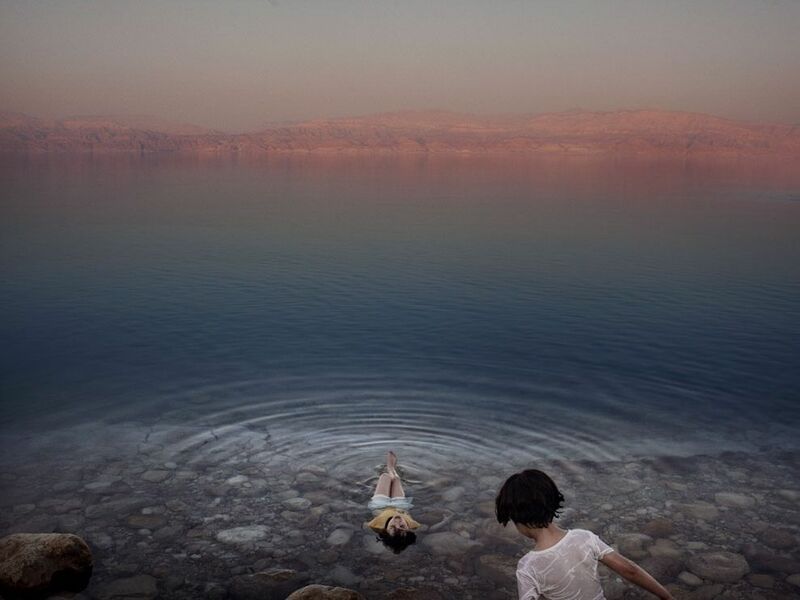 Story:Floating on dreams and whispers, girls from a West Bank village cool off in the salt-laden waters of the Dead Sea. With its main tributary, the Jordan, at less than a tenth of its former volume, the inland sea has dropped some 70 feet since 1978. Story:Inland ice fields give way along Chile’s coast to a maze of islands and fjords. The weather here is rarely calm. 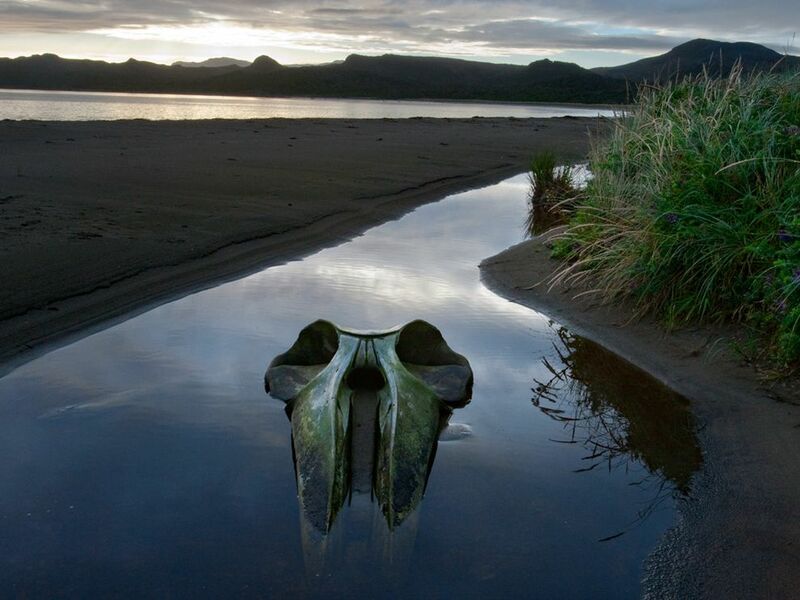 On Byron Island, the skull of a sei whale rests in a tidal creek—until the next storm. 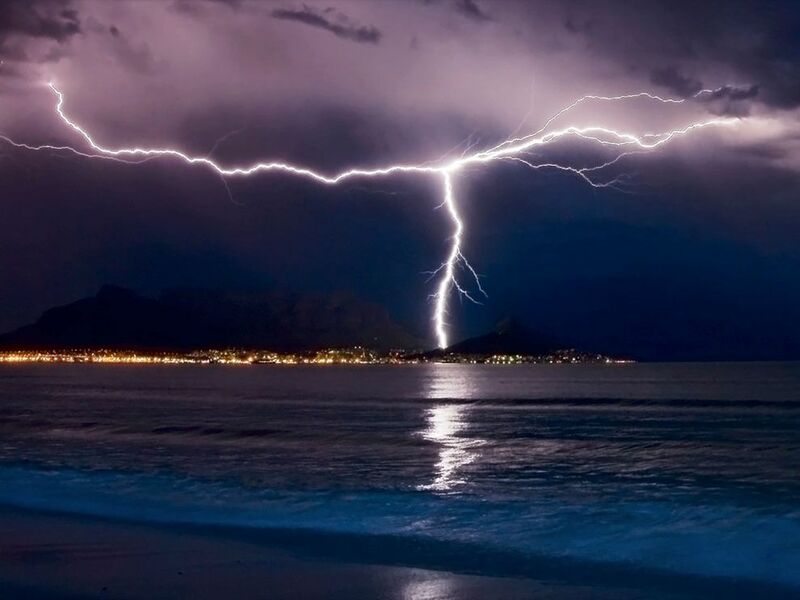 Story:Two separate lightning bolts converge over Table Mountain in Cape Town, South Africa, with an amazing display of natural electricity. 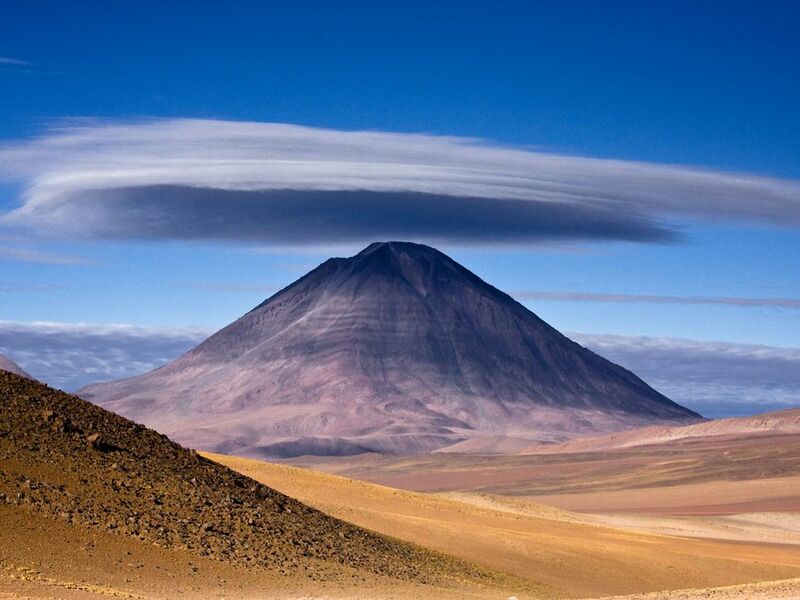 Story:Licancabur Volcano is located on the border between Chile and Bolivia. 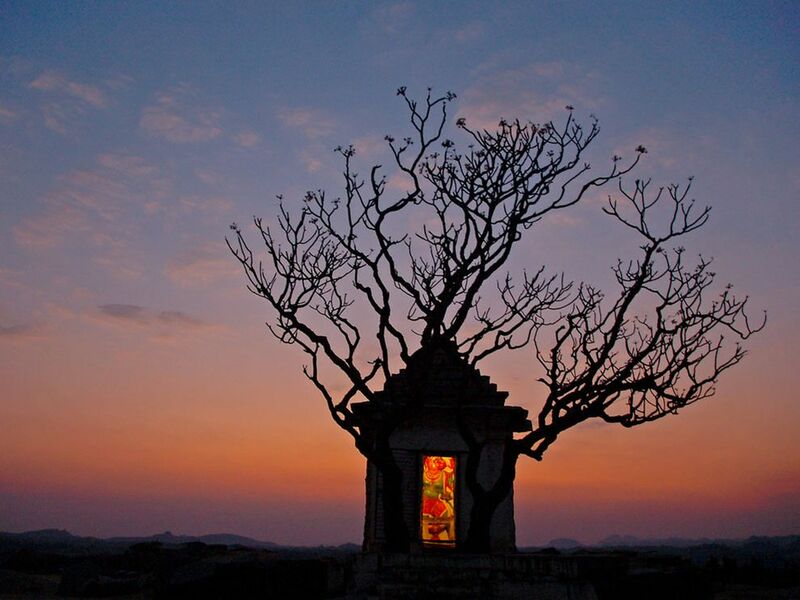 Story:Image was shot in Hampi, India at sunset of a very small Hanuman temple at the edge of town. Was able to balance the low light of the temple with the setting sun and silhouette the trees. 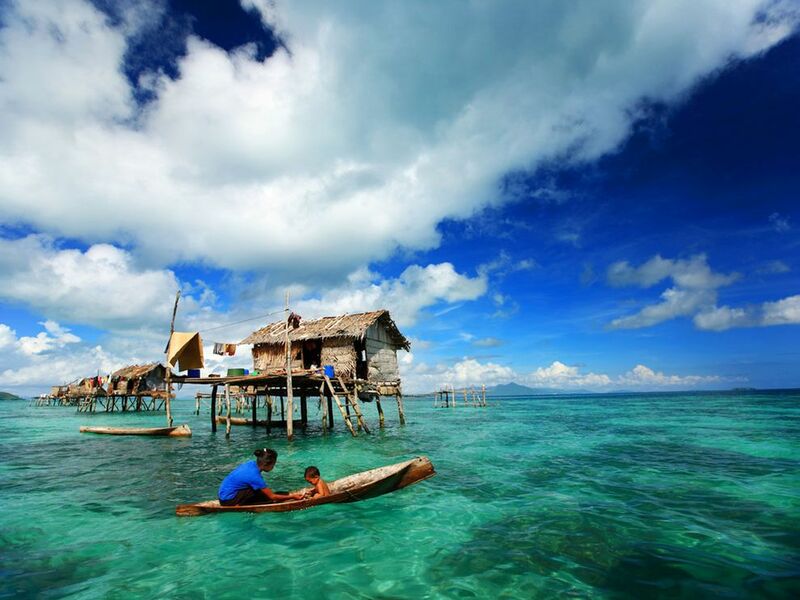 Story:In Semporna, many Filipinos and Malayu who traditionally fish for a living have erected hundreds of these homes in the Celebes Sea. 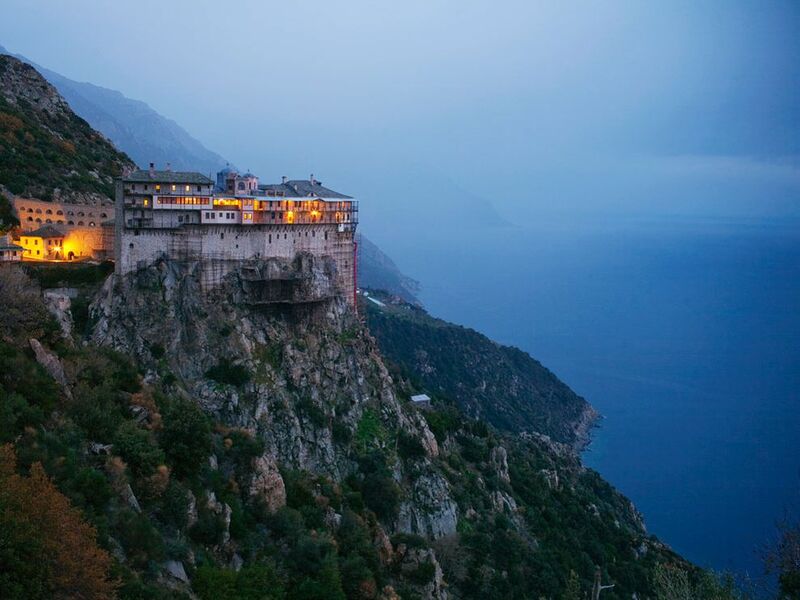 Story:Redoubt of the reclusive, Simonos Petras monastery was founded in 1257 more than 800 feet above the Aegean Sea. It is one of 20 monasteries on the steep-sloped Greek peninsula of Mount Athos, a popular pilgrimage site sometimes called the Christian Tibet. 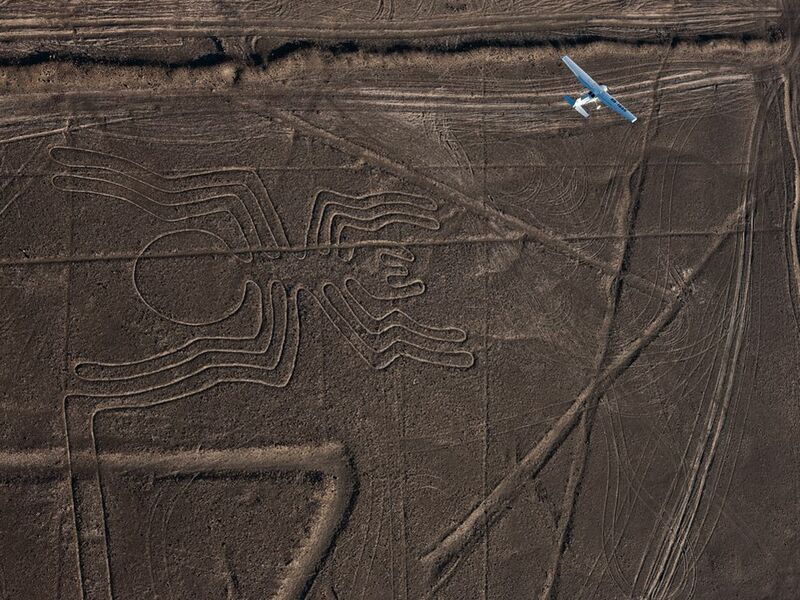 Story:In the coastal desert of southern Peru, sprawling figures etched on the land—a spider, a monkey, a strange flying animal, and more—have inspired wonder in air travelers since first spotted in the 1920s. Now scientists believe they know why ancient people created the designs, beginning more than 2,000 years ago. 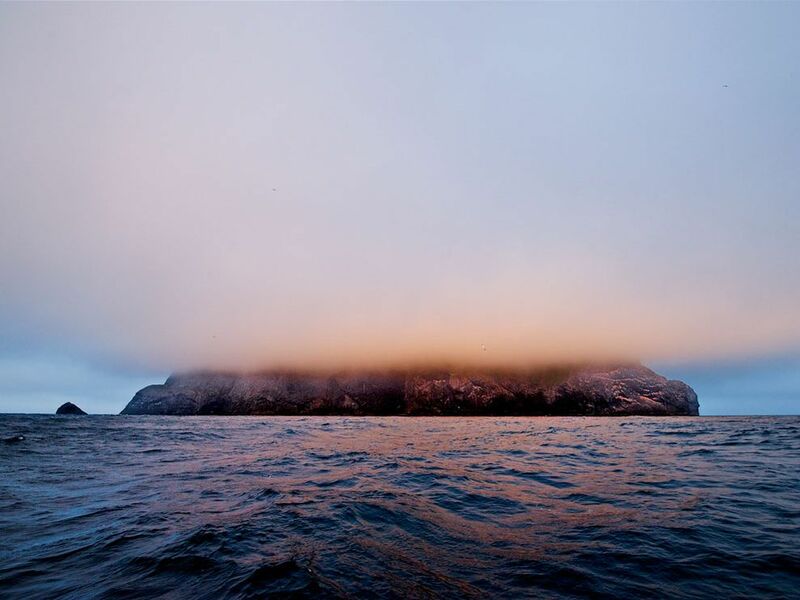 Story:Fog lifts to reveal the island of Boreray, in the St. Kilda archipelago, perched far out in the Atlantic. 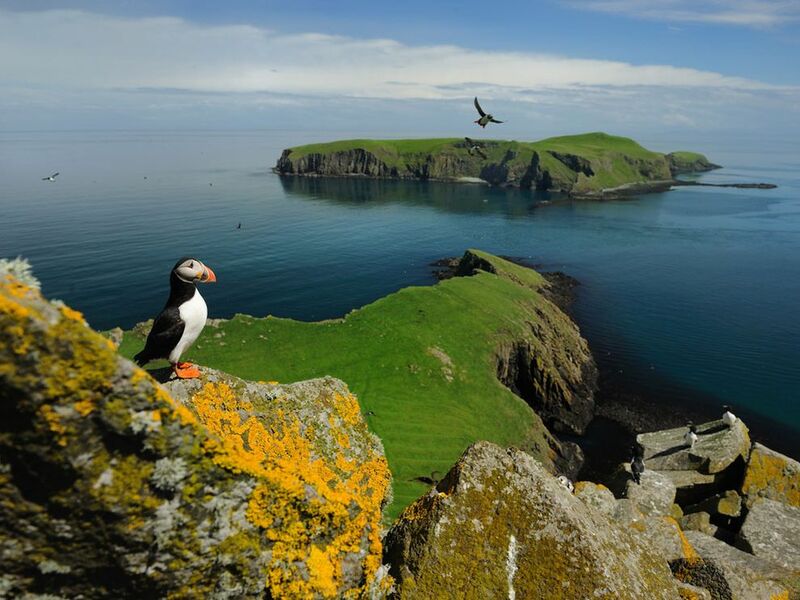 Story:Dapper black-and-white razorbills (at right) and bright-beaked puffins (at left and in air, at center) find a haven on the Shiant Islands, just a few miles southeast of Lewis, Scotland. Nearly 8,000 razorbills and more than 200,000 puffins are estimated to use these islands as their breeding grounds each year. 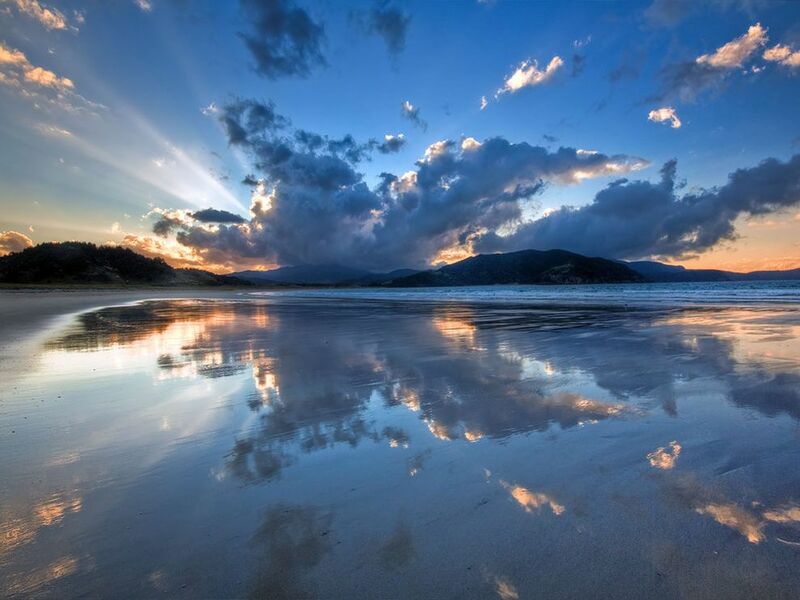 Story:This photo was taken at Waikawau Bay, Coromandel, New Zealand. After a gorgeous drive up the coast I was greeted with this scene. It kind of reminds me of the symmetrical paintings I did at primary school where you painted one side then folded the paper in half. The weather always seems to provide unique opportunities up this end of New Zealand. Story:Saturn, an elderly mother herself, cares for two calves orphaned by the deaths of their mothers, who were her adult daughters. The extended family structure helps groups cope with such losses. 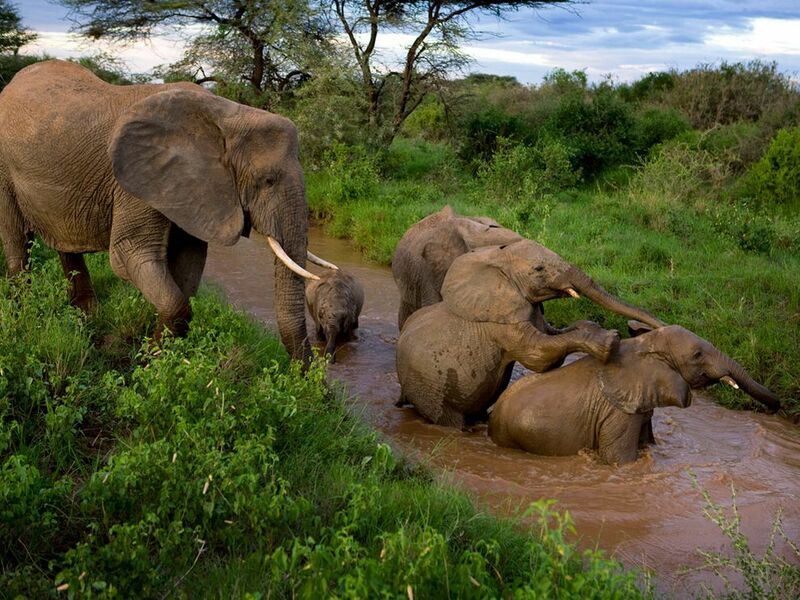 At sunset along a river channel Saturn oversees the play of her own two calves and the orphans. From her behavior alone, uniformly doting, you couldn’t know which was which. Story:I took this photo at Six Flags Marine World in Vallejo, California, in 2004. 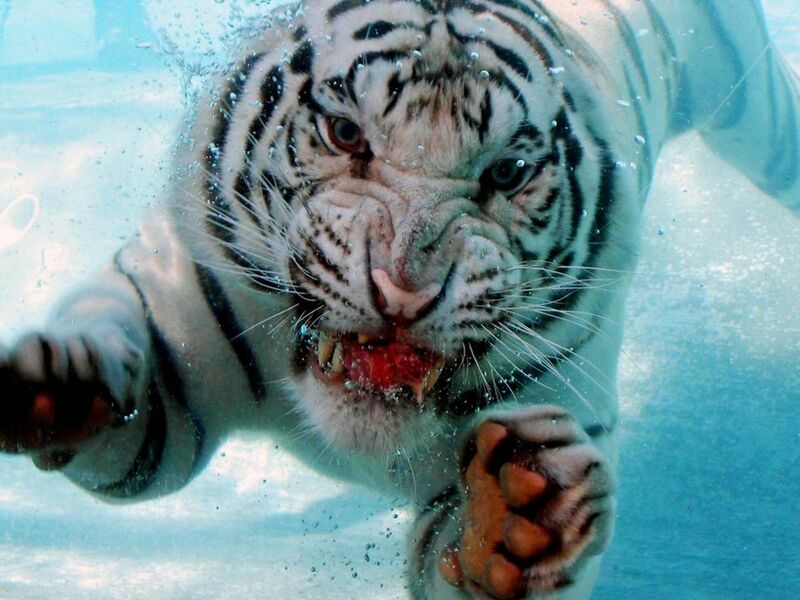 The trainers were throwing meat into a small pool to demonstrate the tigers’ diving ability, and this beautiful creature looked right into my camera. 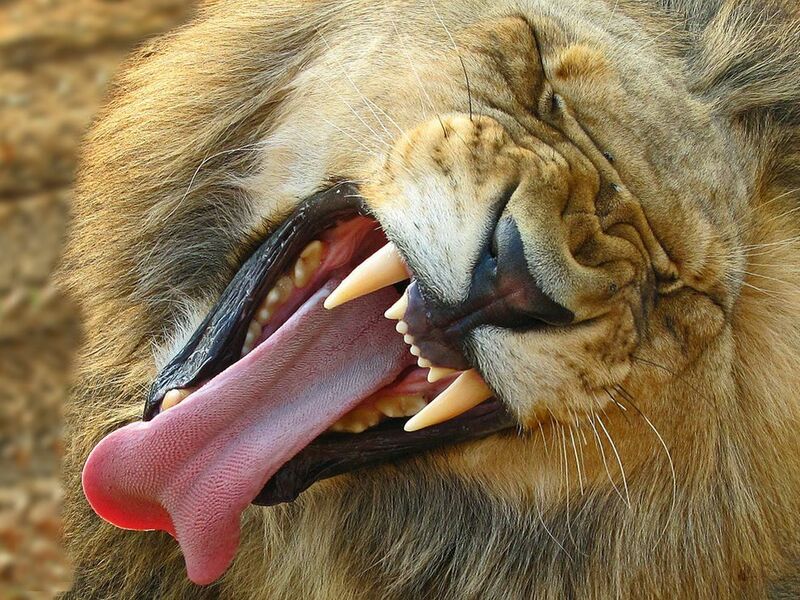 The scowl on his face is not from disgust or anger; rather, it results from how these big cats scrunch up their nose to keep water out. 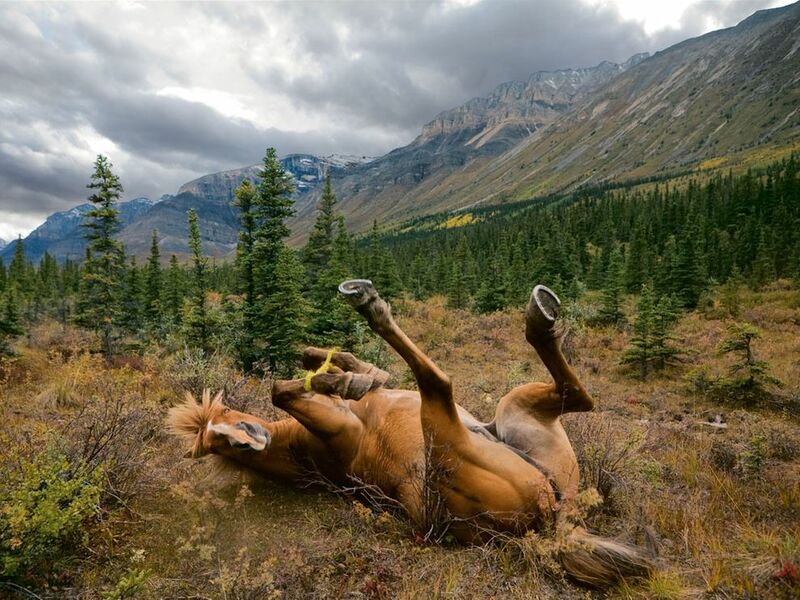 Story:Relief is a rolling back scratch in the brush for a hobbled horse freed of its saddle. Several outfitters guide clients into the Muska-Kechika Management Area in the Canadian Rockies, and some take hunters, who pay thousands of dollars for a shot at big game. 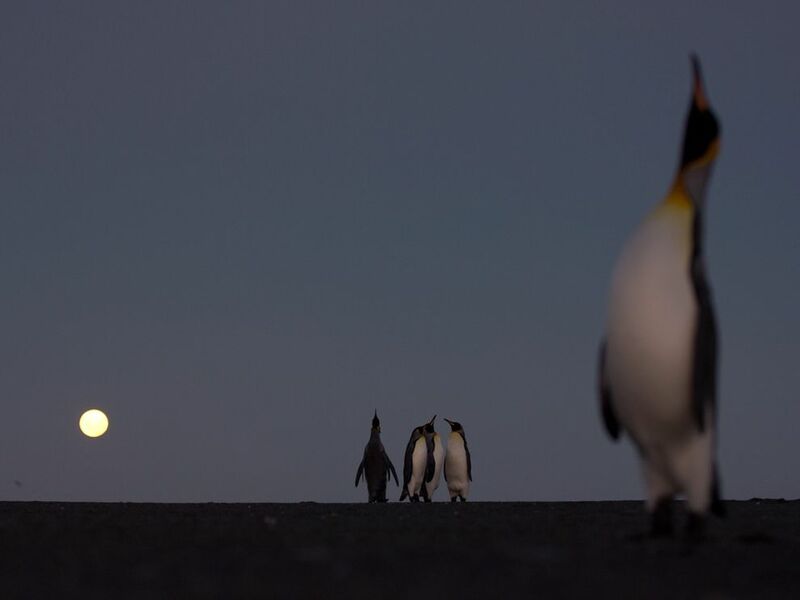 Story:As sure as moonrise over Possession Island, king penguins gather each year for “ecstatic display.” Puffing their chests, lifting their heads, and belting out calls, birds of both sexes advertise themselves. 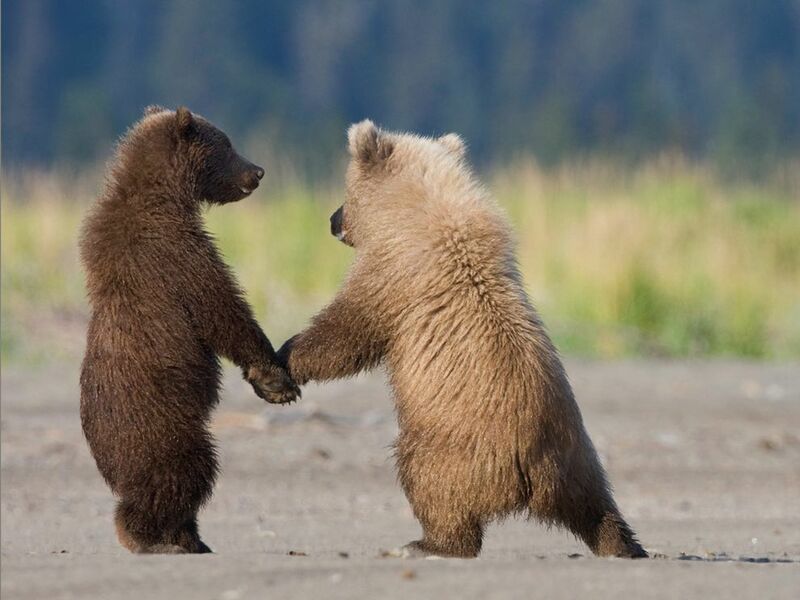 Before long, pairs form and join a crowd, and breeding season is on. 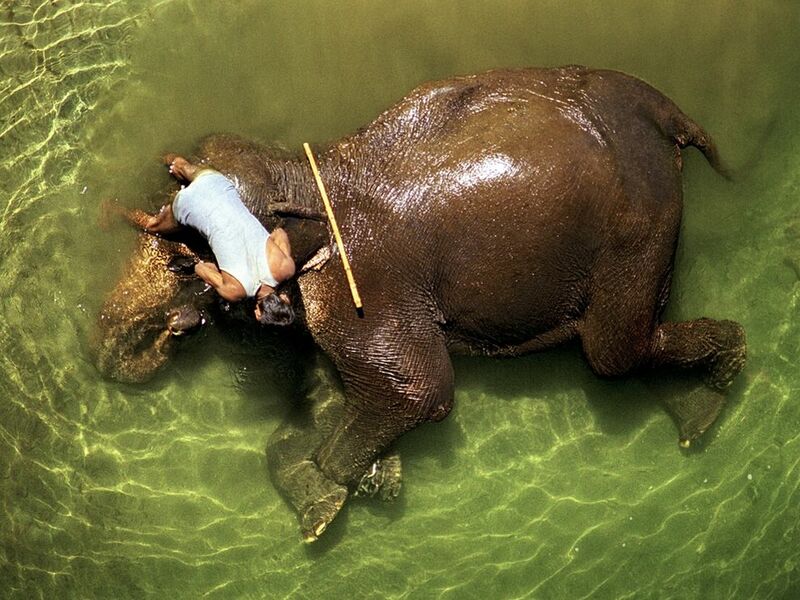 Story:Watching a mahout lovingly bathe his elephant, I tried capturing the moment from the riverside but wasn’t satisfied with what I saw through the viewfinder. 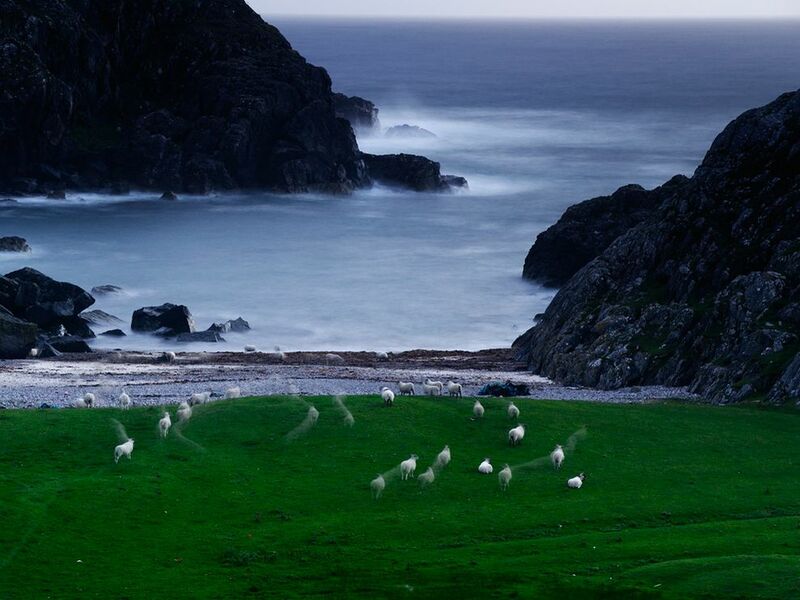 There was something lacking that made the image not do justice to the scene. I then climbed a tree with a branch extending out over the water and got my shot, which may have been my last as I almost fell off after taking it. I’m sure the beautiful elephant would not have been very happy about me falling out of a tree straight onto her stomach! 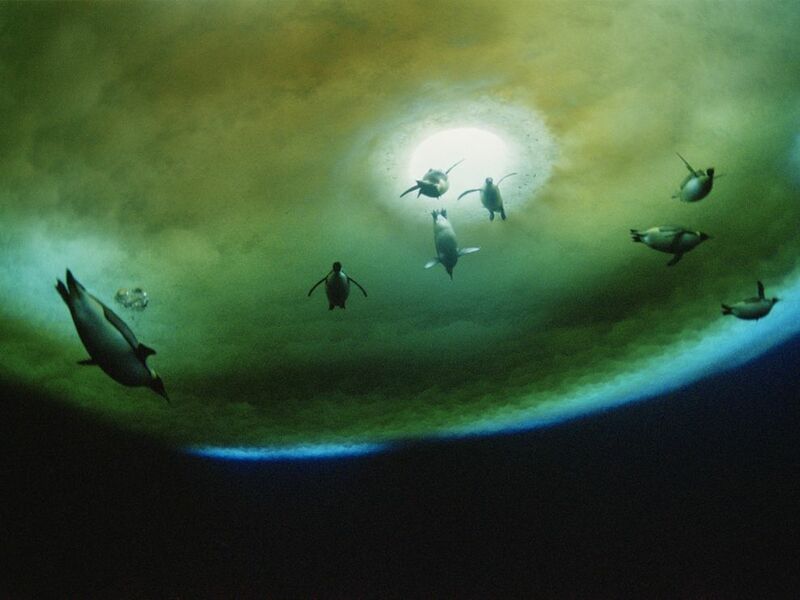 Story:Penguins surface near an air hole in Antarctica, captured with a remote underwater camera. 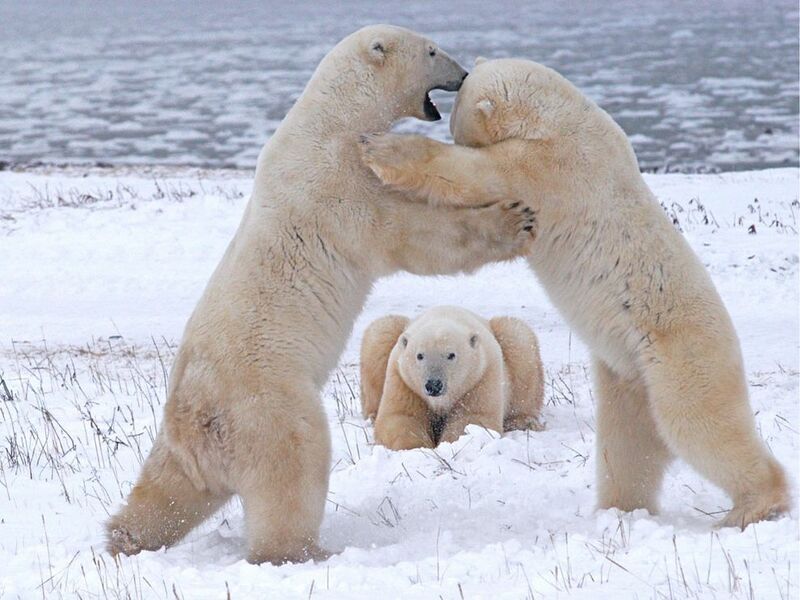 Story:This interested third party was observing the “interactions” of two polar bears near Churchill, Manitoba, Canada. 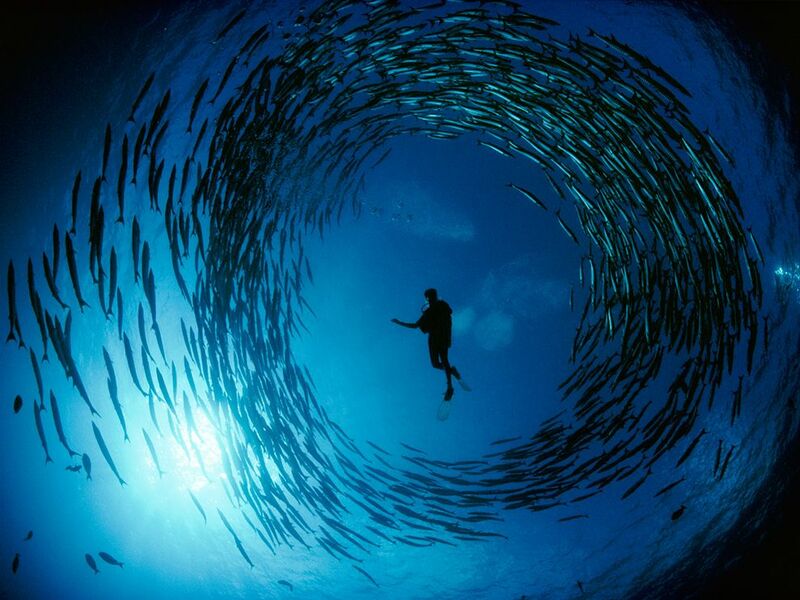 Story:A school of barracuda surrounds a naturalist in the Bismarck Sea off New Hanover island, Papua New Guinea. 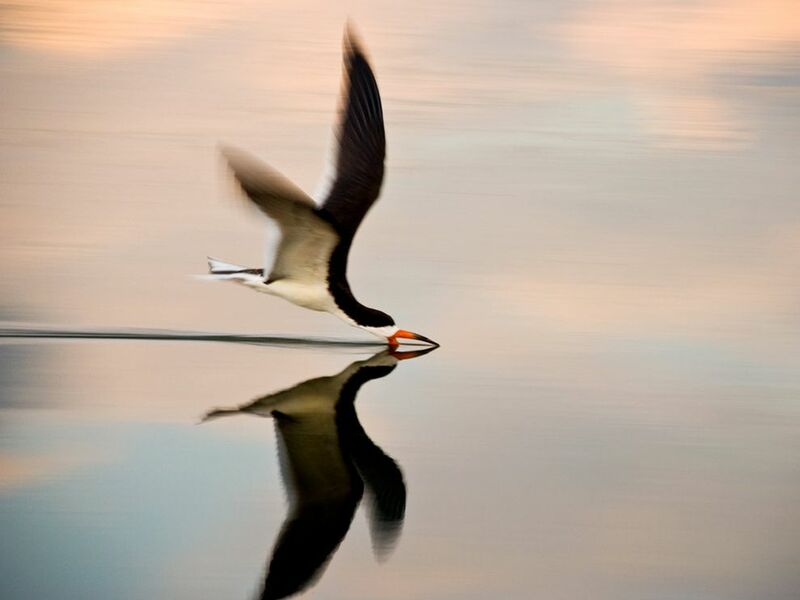 Story:Like cutting silk, this black skimmer looks for something for lunch.